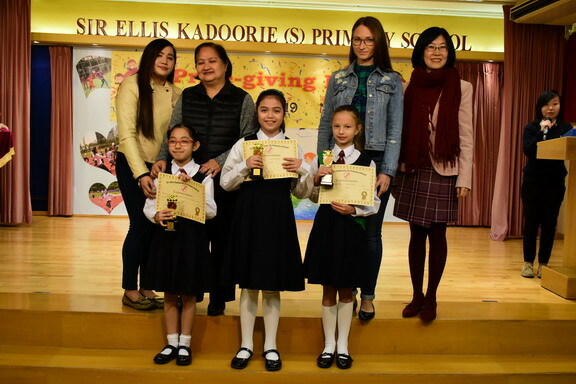 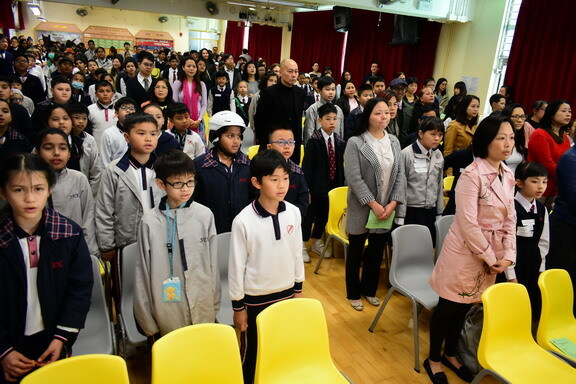 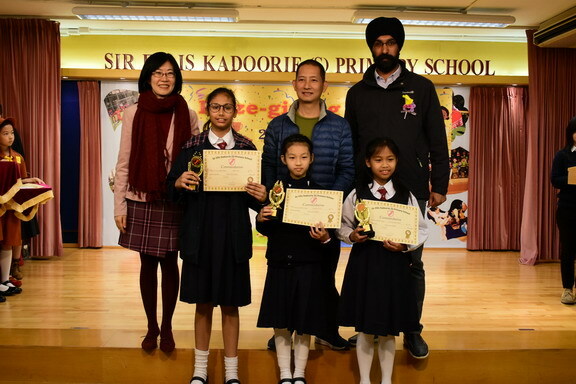 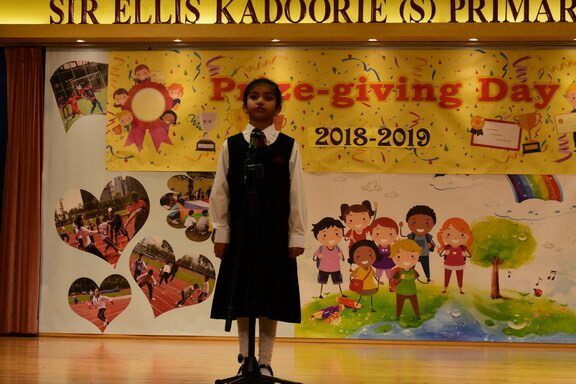 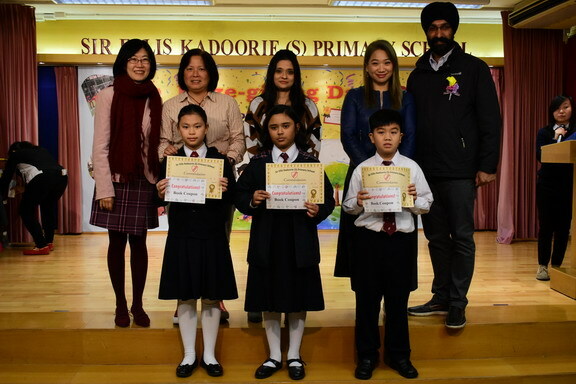 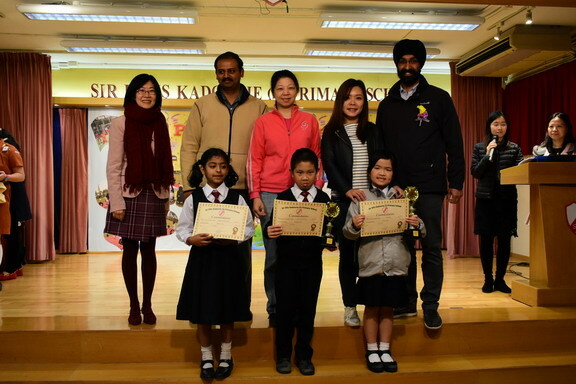 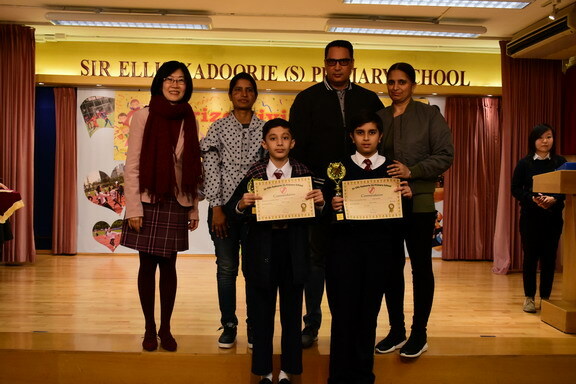 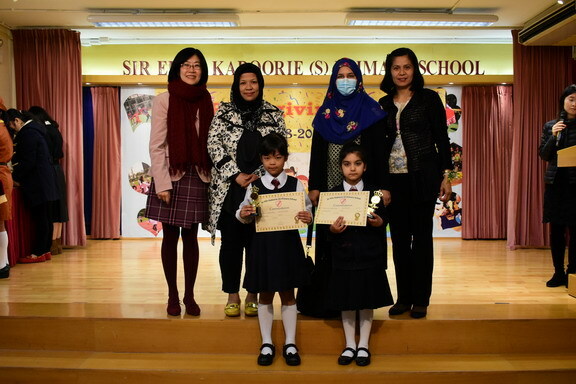 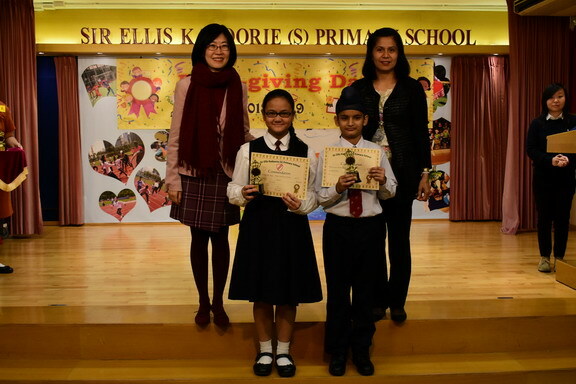 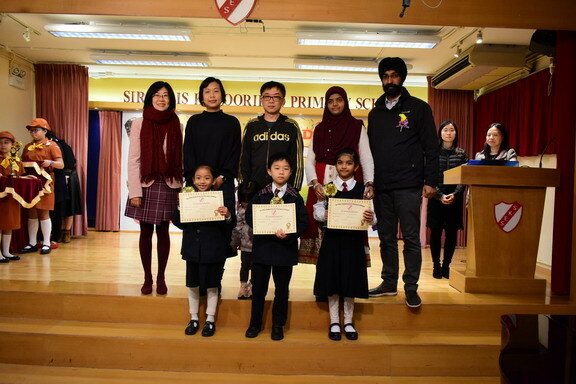 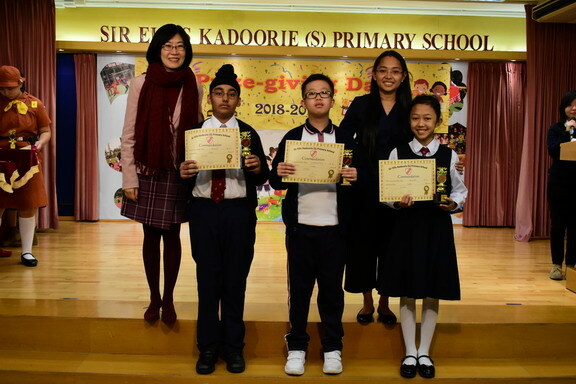 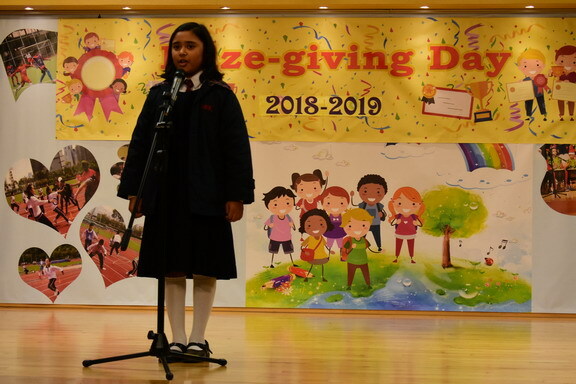 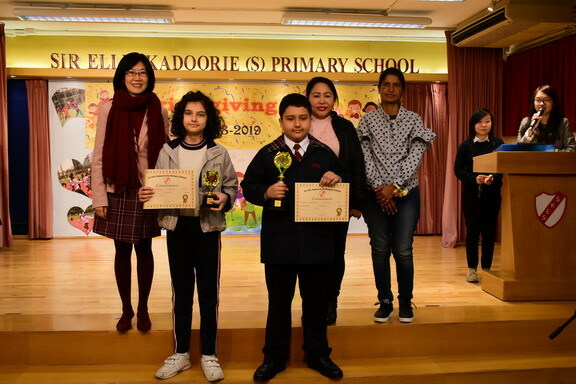 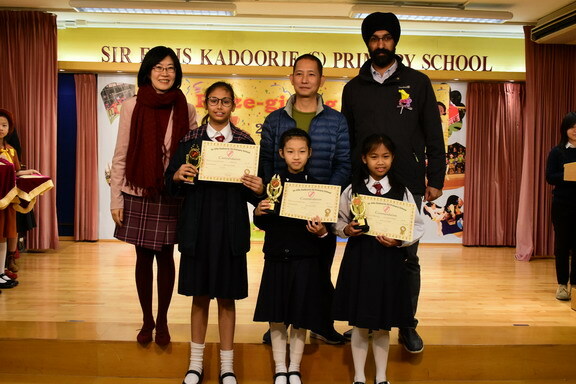 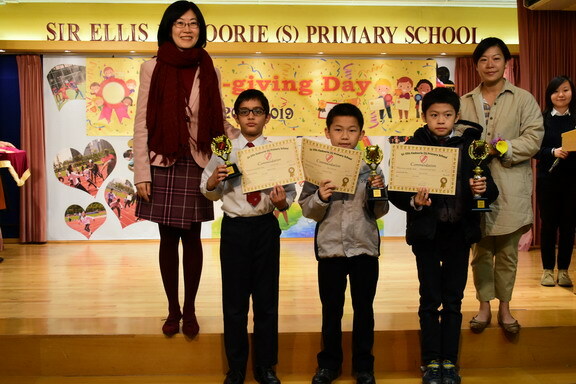 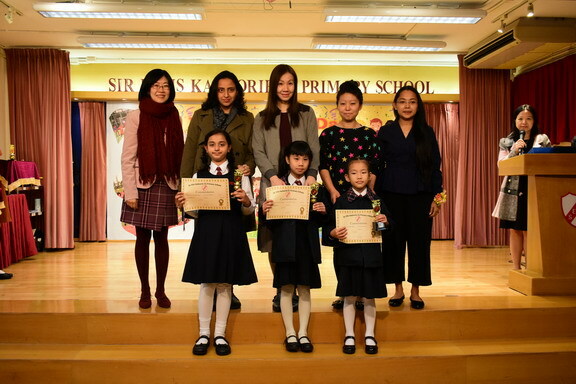 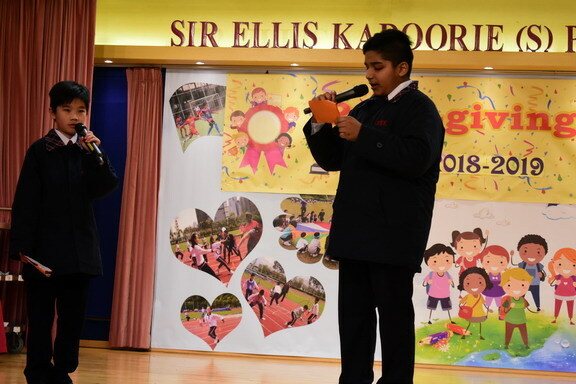 The First Prize-giving Day of this school year was held on the 25th of January,2019, to acknowledge and show our appreciation of our students' effort and outstanding performances during the first term. 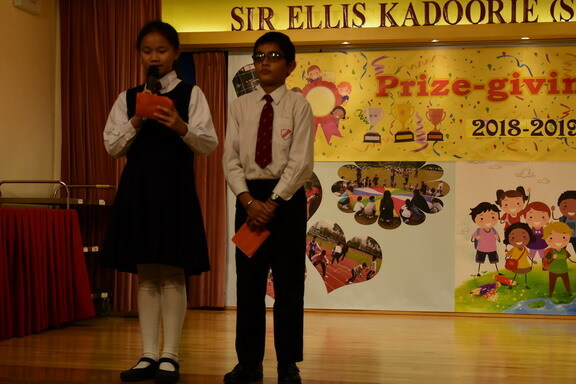 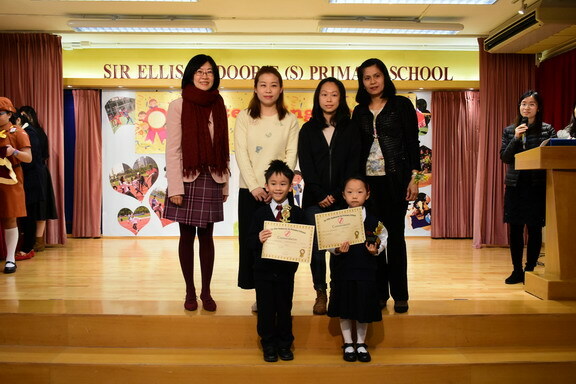 Prizes were awarded to pupils who achieved one or more of the following: Academic, Conduct, Service, Speech Festival or the Most Active Reader Award. 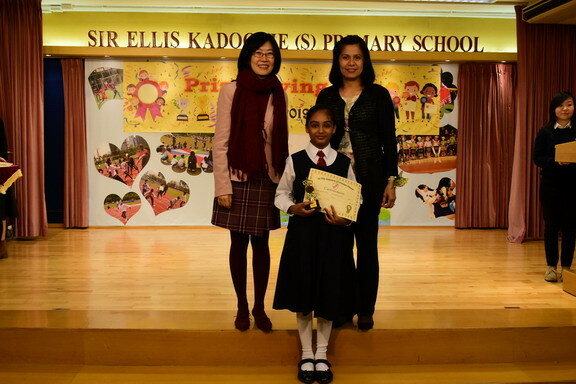 Some Scholarships and Awards were supplied by our PTA and Alumni Association and were very warmly received. 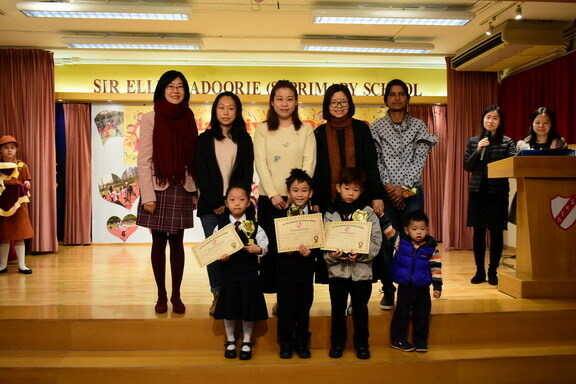 We also wish to express our gratitude to the support from our students' parents when assisting them with their children's learning while at home. 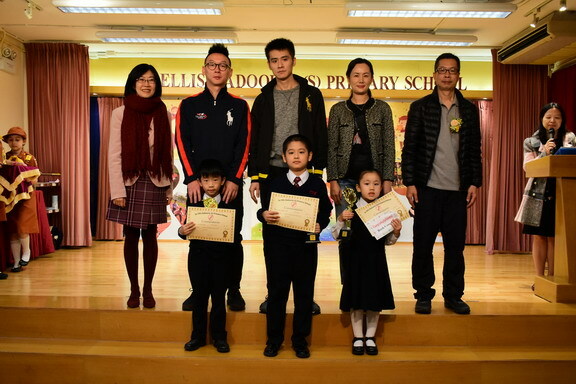 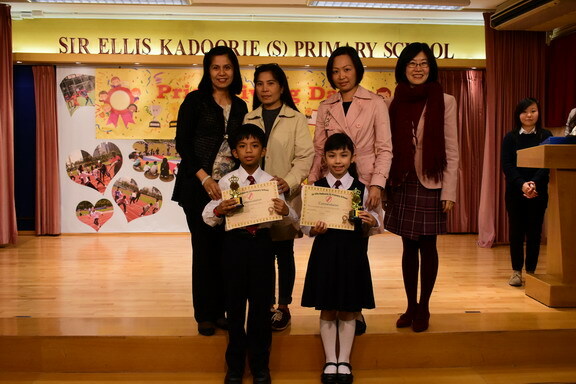 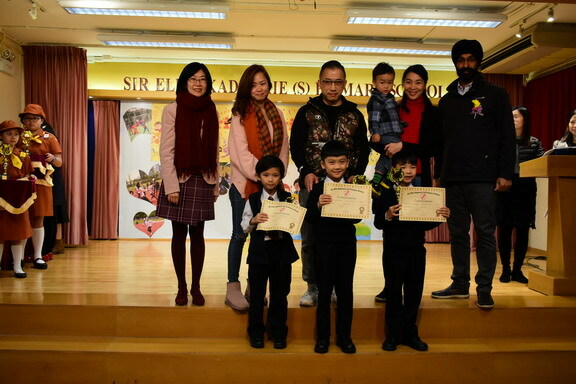 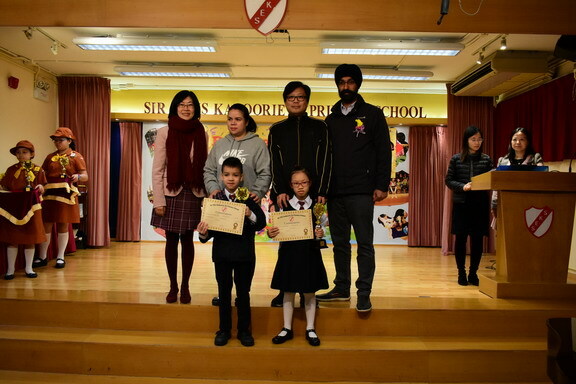 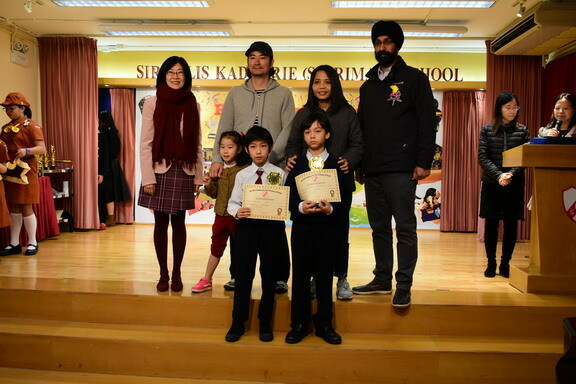 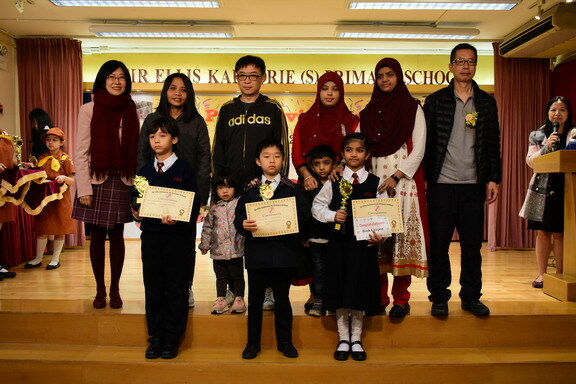 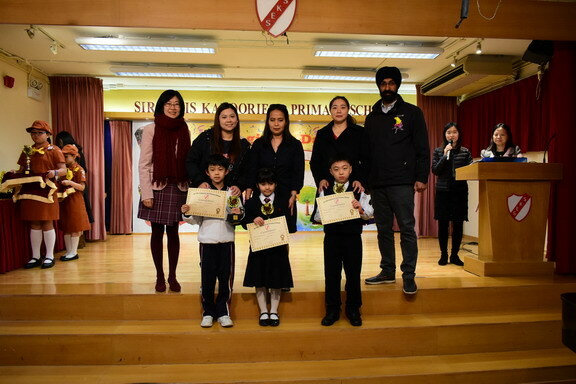 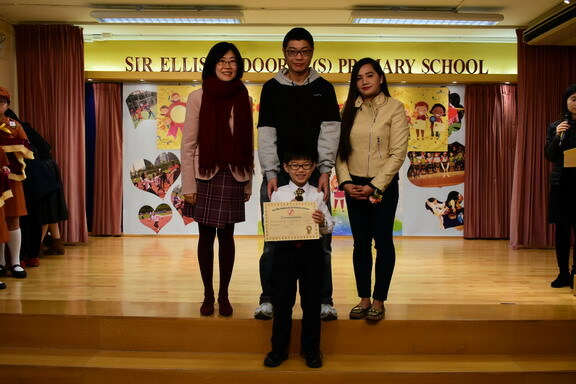 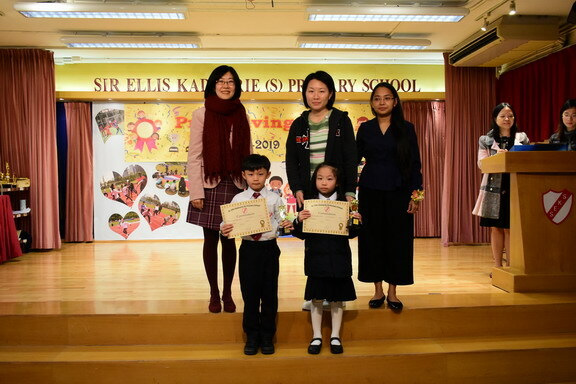 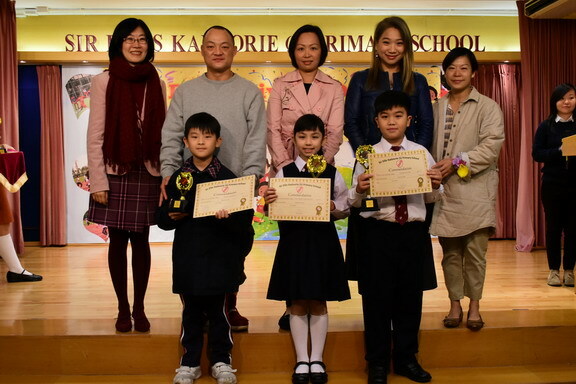 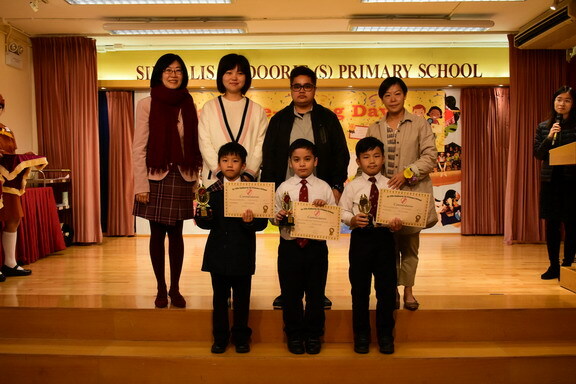 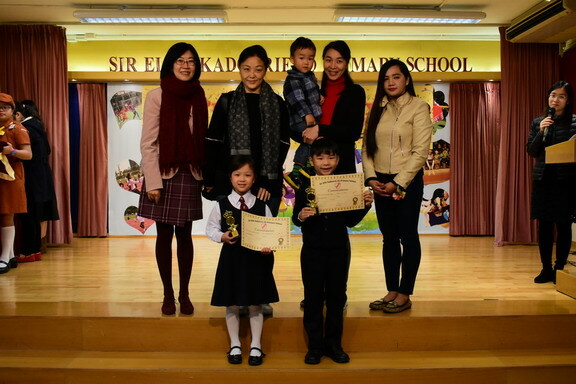 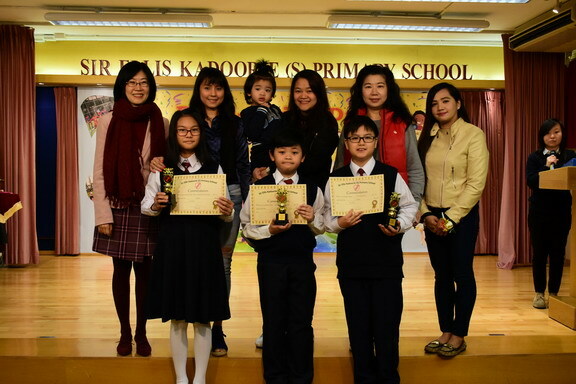 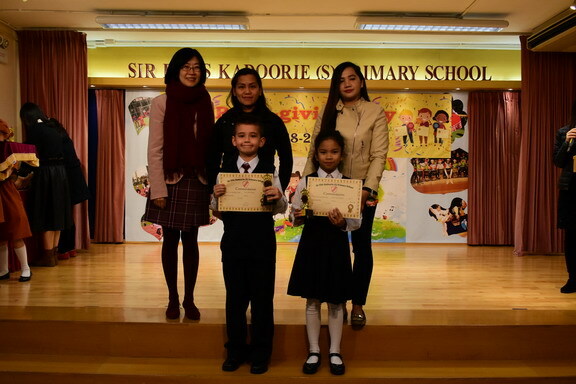 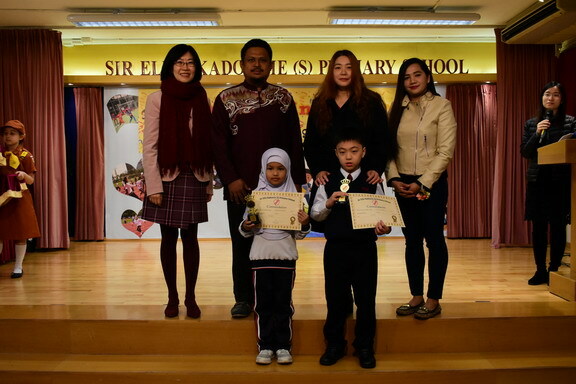 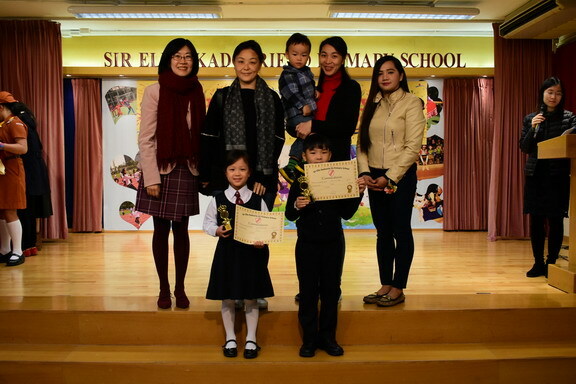 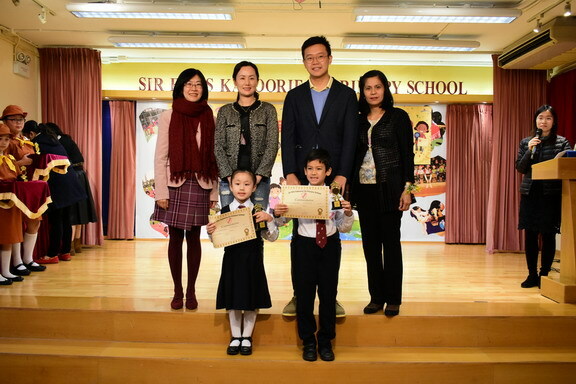 Parents of the prize winners were therefore invited to join the ceremony in the hall and invited to accompany their prize-winning child on stage. 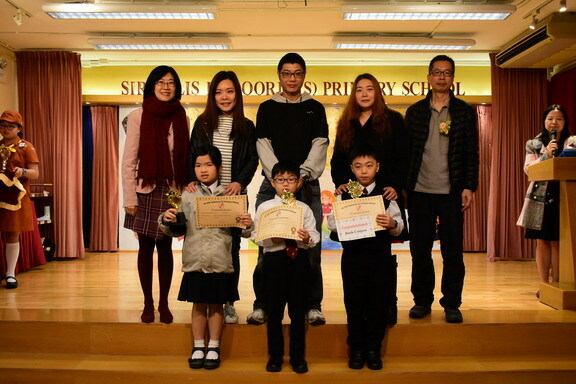 This was a chance for everybody to honour their efforts as well. 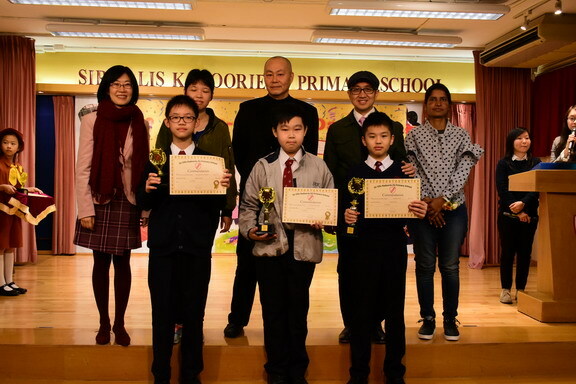 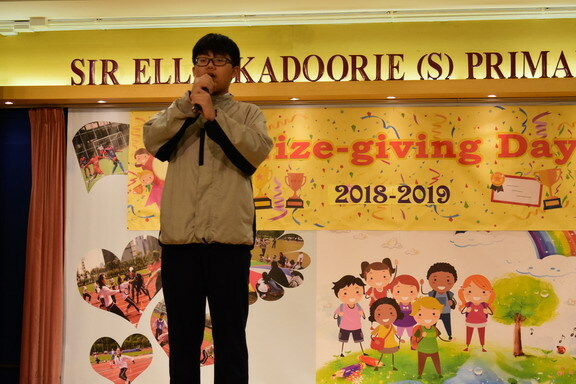 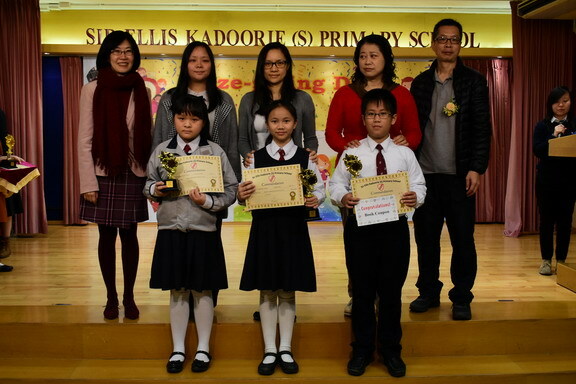 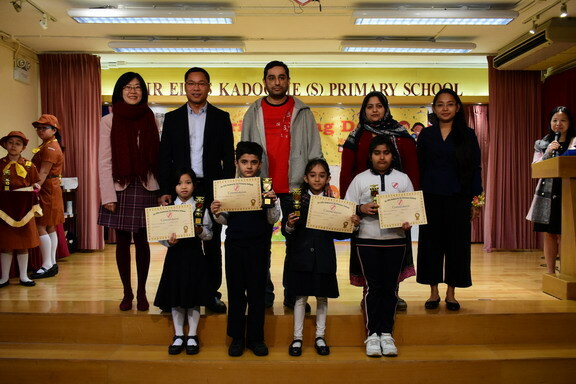 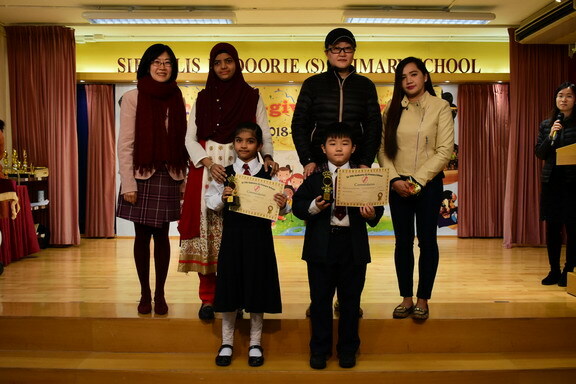 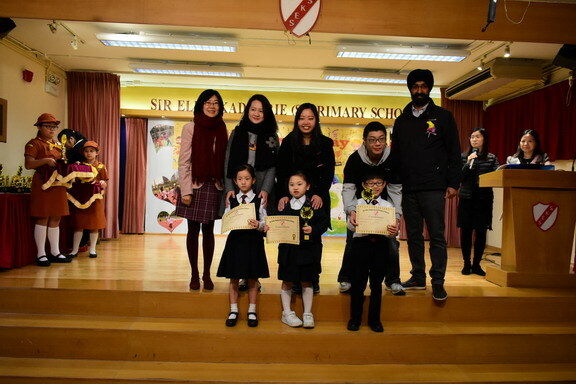 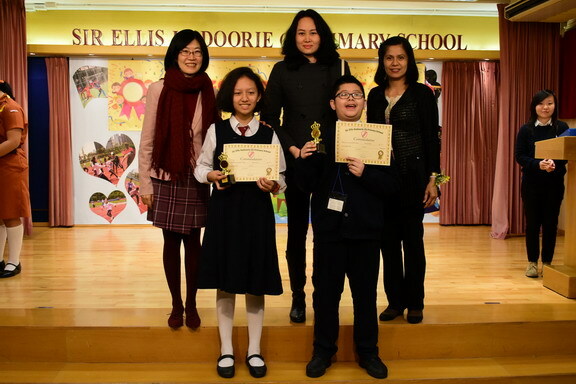 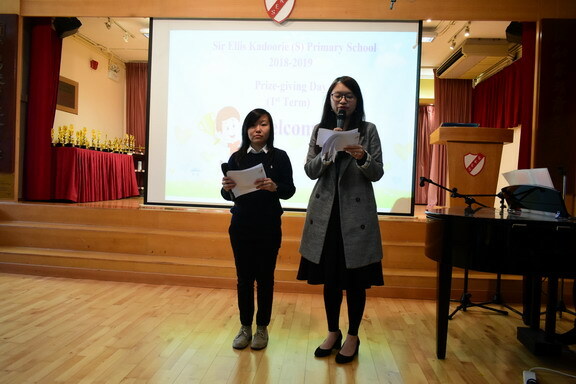 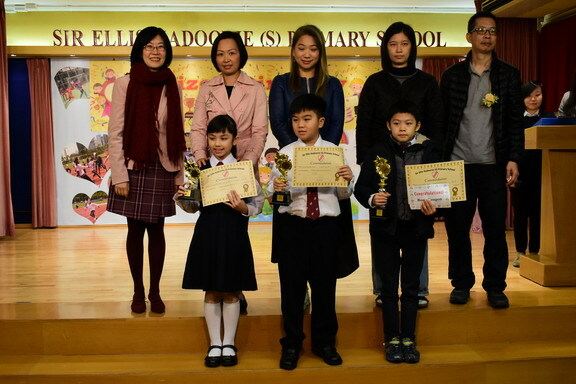 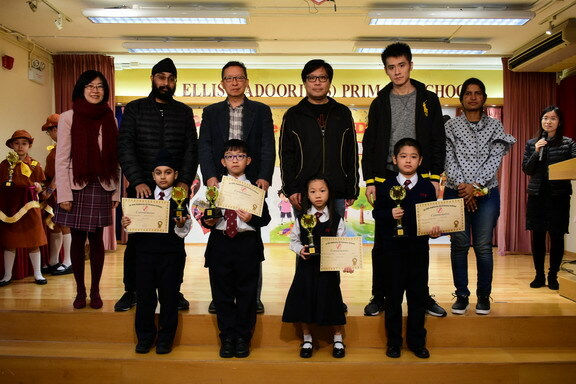 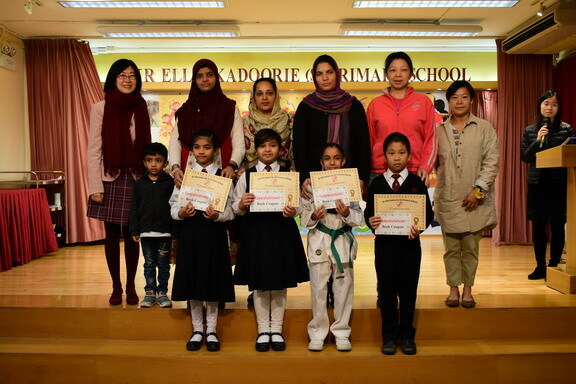 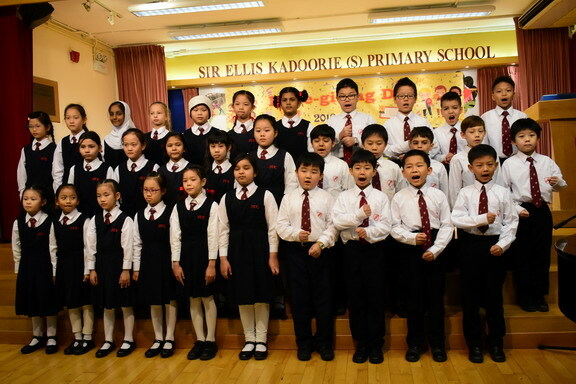 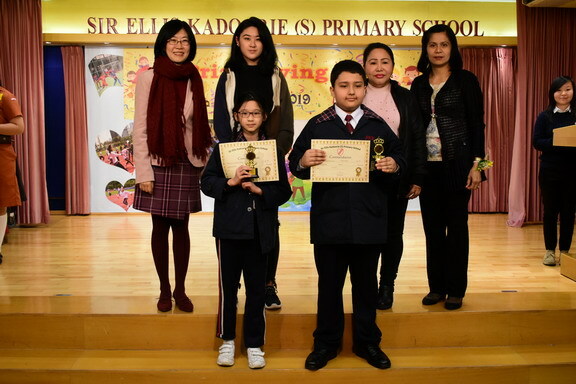 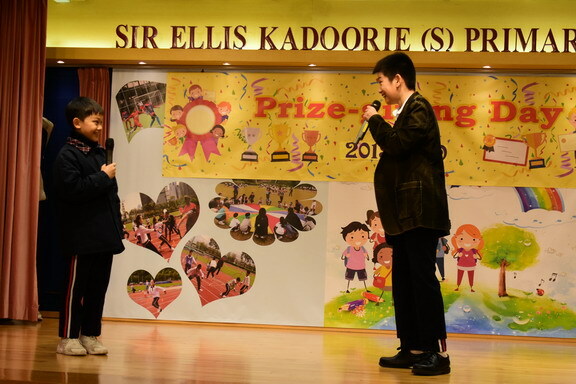 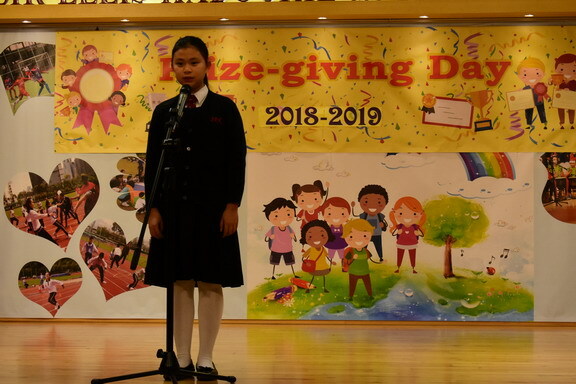 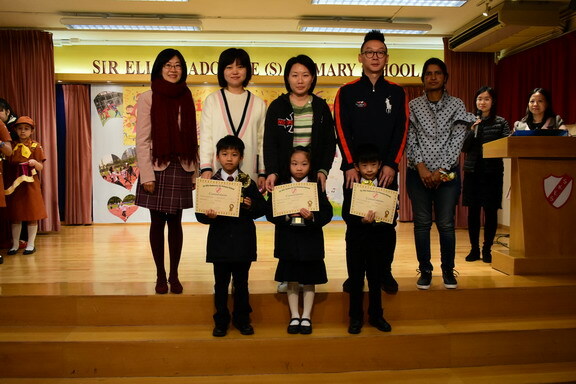 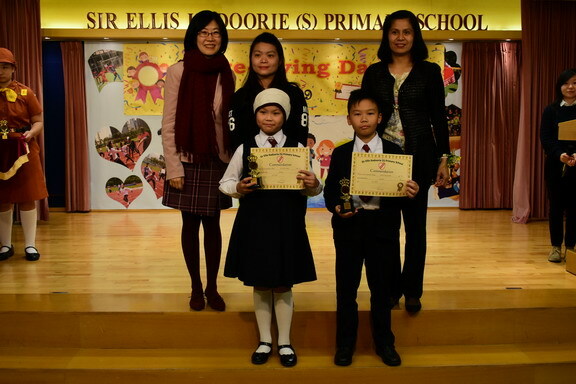 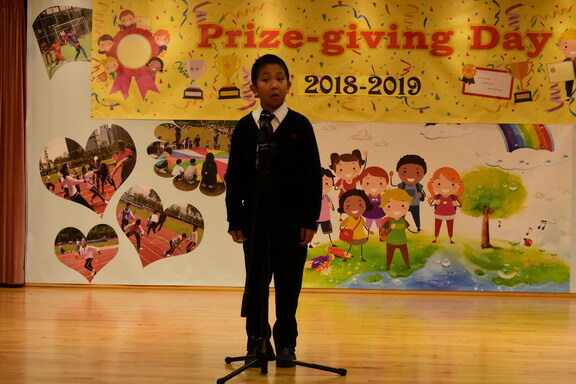 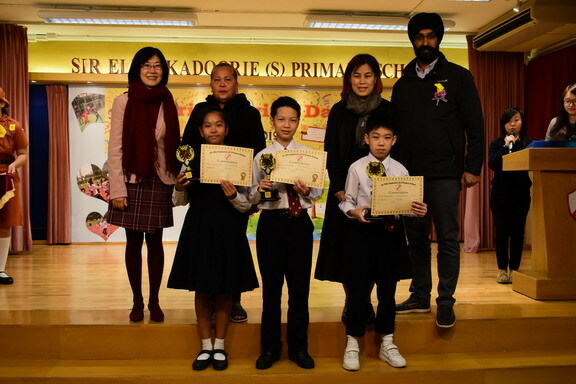 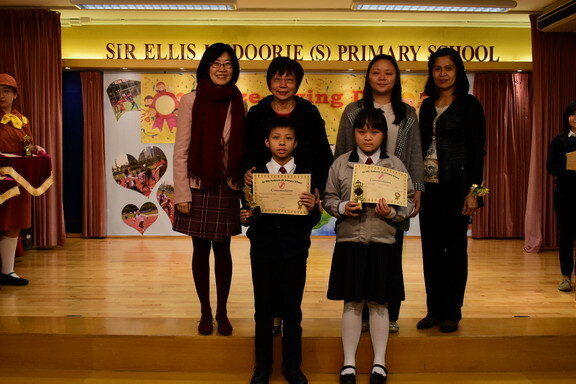 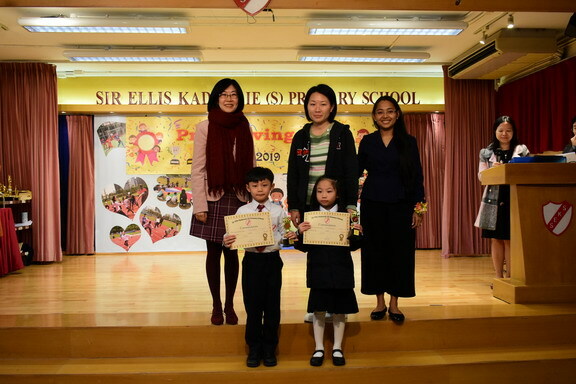 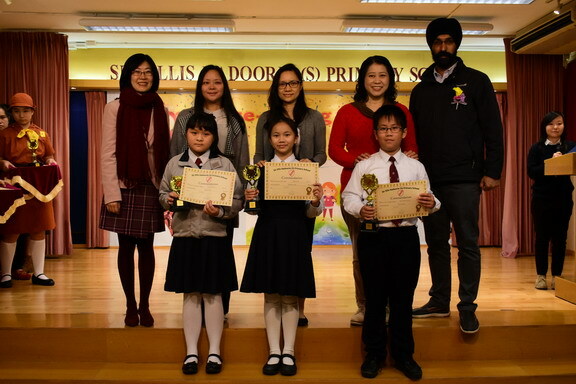 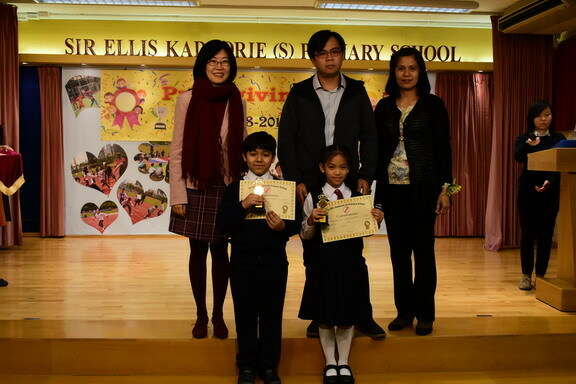 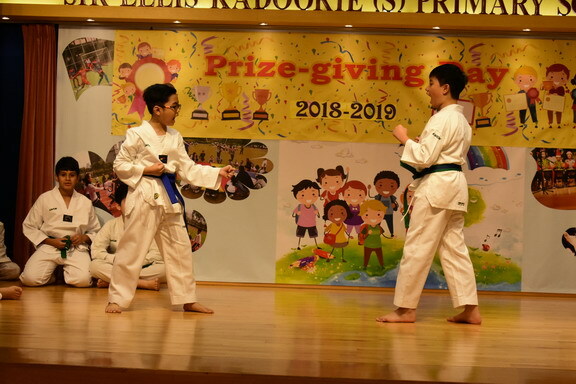 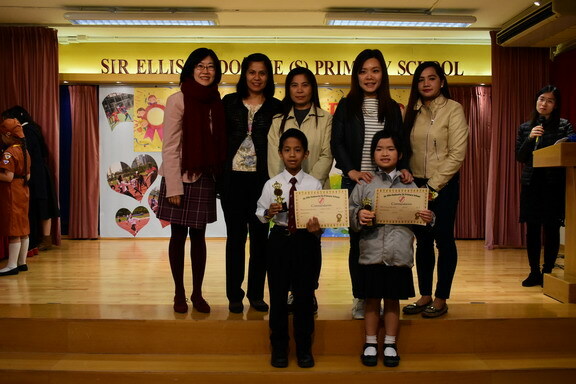 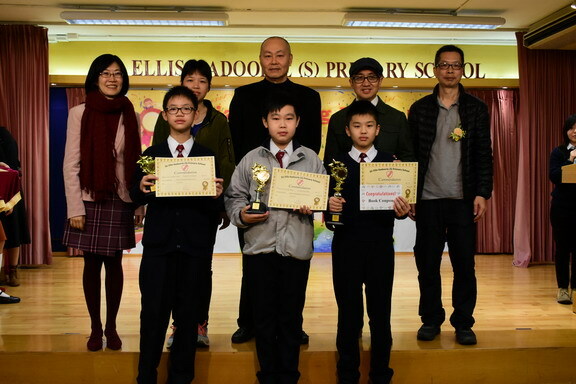 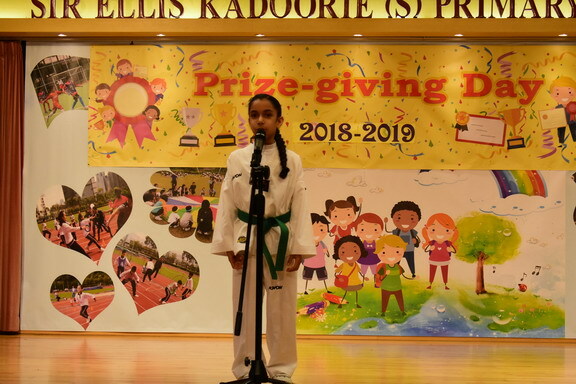 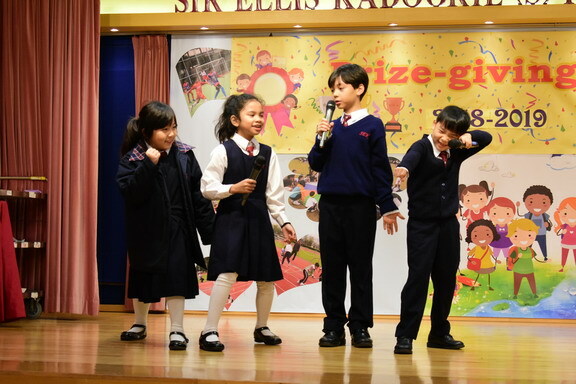 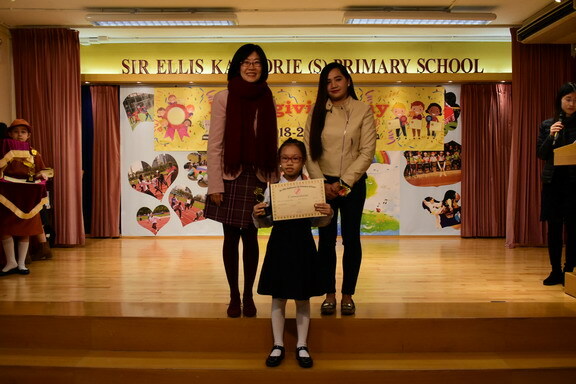 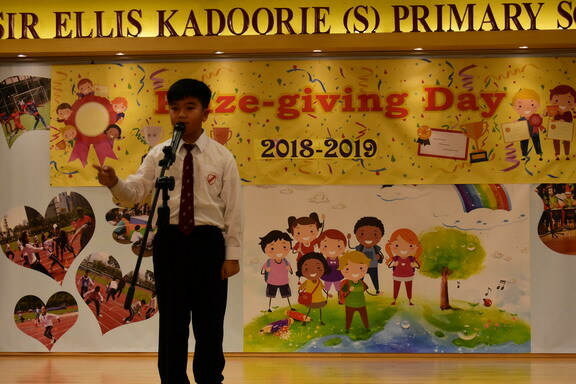 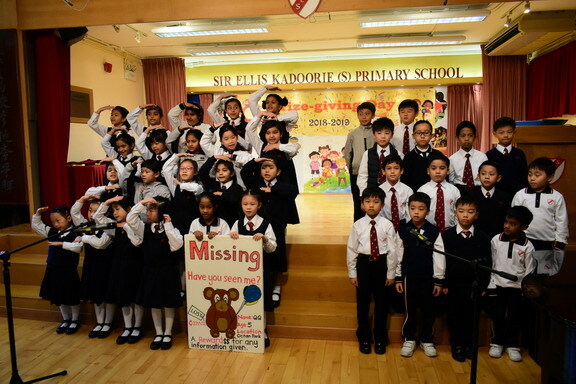 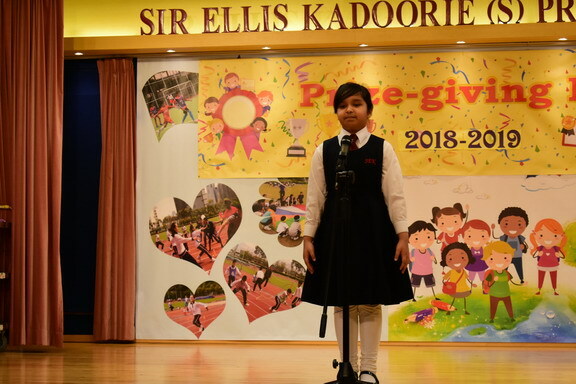 After all of the awards had been presented, we were all treated to brilliant performances including English and Putonghua choral speaking, English Speech Solo Verse Speaking, Taekwondo, Rope Skipping, Tally & Friends Story telling Competition Performance. 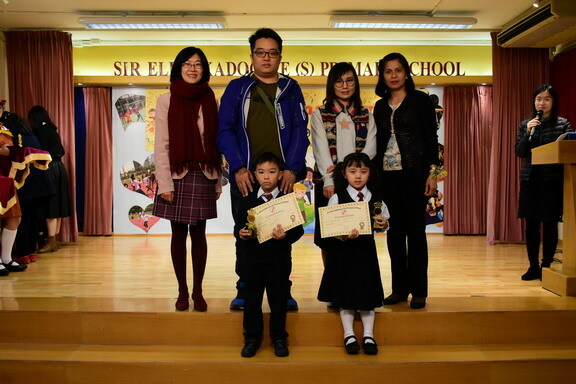 Parents and their children enjoyed the show very much.